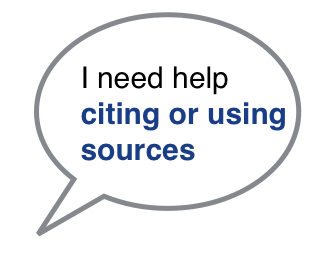 Referencing is the ethical practice of citing your sources, to let your readers know where you found information or ideas, so they can distinguish it from your own thinking. Creating a list of all the information sources used in a research project is the most basic form of referencing. Such an alphabetical list is called a bibliography or works cited page. MLA (short for the Modern Language Association) is the default formatting style for referencing at our school, up through Grade 10. 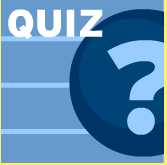 (IB Diploma students may be told to use other styles, depending on the subject -- check here). RefME is an online tool that makes it easy to produce MLA bibliographies. Click here for our RefME Introduction webpage. For more information on MLA, click here. See also our UWCSEA Research Help guide. "Citing Sources." BrainPOP. 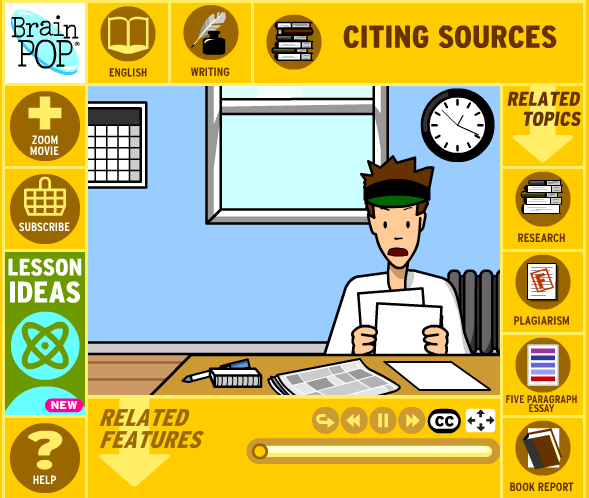 BrainPOP, https://www.brainpop.com/english/writing/citingsources/. Accessed 27 Oct. 2014.